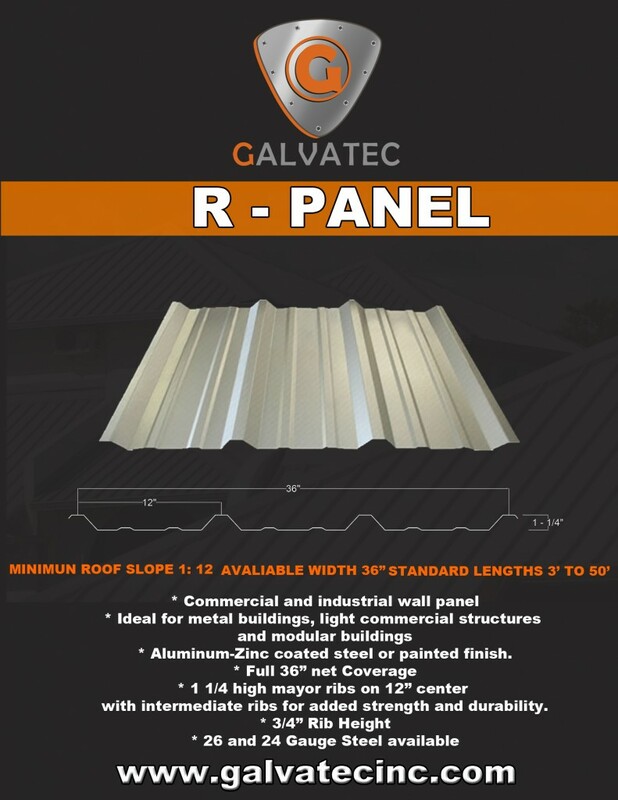 The R – Panel is a low maintenance and economic commercial and industrial wall panel, ideal for metal buildings, light commercial structures and modular buildings. It’s easy to install which means you will save time and money on labor. One of its advantages is that it can be installed either vertically or horizontally, depending on your project’s needs.